Orion’s Namaqua-Disawell Project represents a rare threefold discovery and investment opportunity in the well-endowed Northern Cape Province of South Africa. In addition to the maiden Mineral Resource on the Jacomynspan Ni-Cu-Co-PGE Deposit under investigation for bulk mining (open-pit) potential; the Project has excellent promise to significantly expand the current resources as much of the license area remains to be thoroughly explored as both a polymetallic Intrusive Nickel Sulphide terrane and a zinc-copper Volcanic Massive Sulphide (VMS) terrane. Either deposit type hosts giant, economically successful, global mineral deposits. The maiden JORC Mineral Resource for the Jacomynspan Deposit is for 6.8Mt containing 39,480 tonnes nickel, 22,800 tonnes copper, 1,800 tonnes cobalt at a 0.4% Ni cut-off with grades of 0.57% Ni, 0.33% Cu and 0,03% Co (refer ASX release 8 March 2018). Orion believes a substantial exploration opportunity exists within the project area with VMS zinc-copper and Intrusive Ni-Cu-Co-PGE potential superimposed. Orion’s Namaqua-Disawell suite of intrusions are located within the Meso to Neo-Proterozoic Namaqua-Natal Orogenic Belt. This is a complex, long-lived multi-phase orogenic assembly zone, related to the amalgamation of the Rodinia Supercontinent. The Belt is similar in age and structural complexity to other Proterozoic mobile belts worldwide including the Grenville Belt in Canada (host to Voisey’s Bay, 141Mt at 1.63% Ni ); Kibaran Belt in Tanzania (host to Kabanga, 58Mt at 2.62% Ni ); and the Albany-Fraser Belt in Western Australia (host to Nova-Bollinger, 11.4Mt at 2.4% Ni ). This tectonic setting is favourable for production and ascent of metal-enriched mantle-derived magma that utilises deep-seated structural zones as pathways to intrude the upper crust. Proof of geological process is confirmed by the number of known intrusions within the Areachap Belt over a strike extent of at least 40km. Several intrusions host sulphide mineralisation of similar characteristics to the Jacomynspan Deposit. 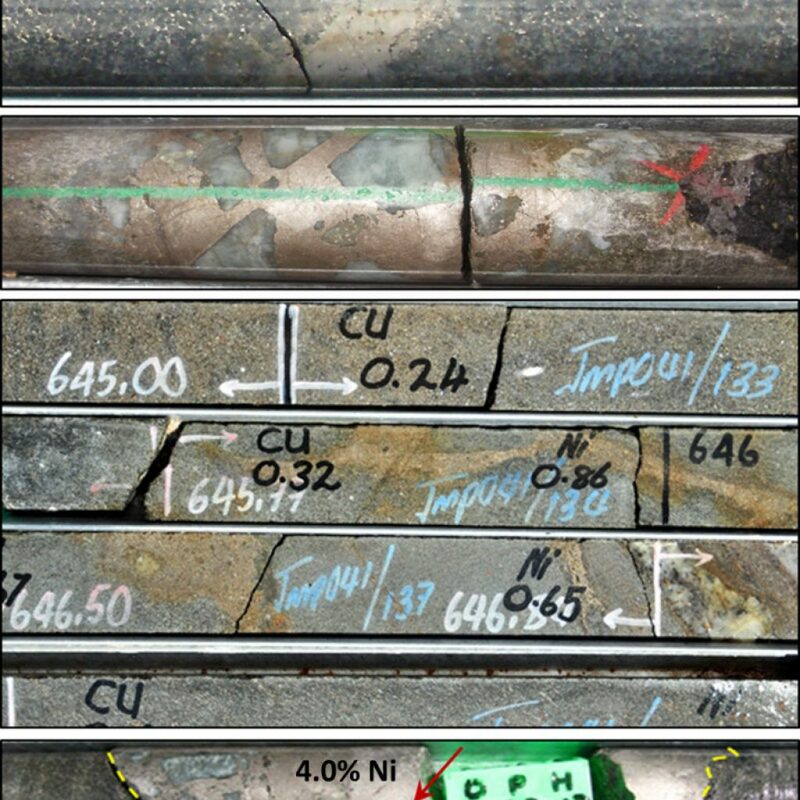 None of these intrusions have been comprehensively tested for massive sulphide mineralisation using modern techniques and methodologies. Notably, the recently completed SkyTEMTM survey and geochemistry identify several compelling targets for follow-up (refer ASX releases 14 December 2017, 1 February 2018 and 8 March 2018). Orion is positioned as the leading explorer in the Areachap Belt which hosts the Prieska Zinc-Copper Project, recorded as one of the world’s 30 largest VMS deposits. The Namaqua – Disawell Project area, within which the Jacomynspan intrusion is located, is 80km from the Prieska Project, within the central part of the Areachap Terrane, contiguous with Orion’s Masiqhame project area (Figure 1). The Project area is highly prospective for magmatic nickel-copper-cobalt-PGE sulphide mineralisation within syn- to late-tectonic ultramafic intrusions, of which several have been identified. The Jacomynspan Intrusion, discovered by Anglo-American Corporation in the 1970’s is the focus of Orion’s wider regional exploration programme. Previous exploration indicates that in addition to the nickel-copper-cobalt-PGE mineralisation, numerous occurrences of VHMS style zinc-copper mineralisation are hosted within similar stratigraphy to the Prieska Project. Orion’s regional exploration strategy utilises expertise developed from the exploration for magmatic nickel-copper in the Fraser Range Province of Western Australia. The extensive database and modern geophysical exploration methods are being used to identify new high priority VMS and/or magmatic nickel-copper-cobalt-PGE sulphide mineralisation targets. Simultaneously, Orion is integrating substantial historic data with recently acquired geophysical and geochemical data to upgrade the Jacomynspan Mineral Resources. At Jacomynspan, a SAMREC-compliant Mineral Resource was estimated for the central part of the deposit. Extensive metallurgical test work, geotechnical appraisal, environmental studies and mine design work were previously carried out by Orion’s project partner, Namaqua Nickel Mining (Pty) Ltd, to complete a concept study and economic assessment for the mining of the deposit. These appraisals were sufficiently positive to support an application for a Mining Right, which has been granted and is undergoing execution (refer ASX release 14 July 2016 and 8 March 2018). Orion is now the leading explorer in the Areachap Belt. Figure 1. Regional geology map of the Areachap Belt showing the Namaqua – Disawell tenement rights currently under option to Orion and noted mineral occurrences (South African Council for Geoscience). The Jacomynspan Mineral Resource was previously reported (refer ASX release 14 July 2016) in accordance with the SAMREC Code (2007) as a “qualifying foreign resource estimate” as defined in the ASX Listing Rules. During March 2018, the Mineral Resources were reassessed by the Competent Person, classified and reported in compliance with the 2012 Edition of the Australasian Code for Reporting of Exploration Results, Mineral Resources and Ore Reserves (JORC Code) (refer ASX release 8 March 2018). The Mineral Resources (Table 1) are based on drilling data available to 2012 (Figure 2), estimated using 0.4% Ni cut-off grade, considered by the Competent Person to be of potential economic significance. Table 2 shows the Mineral Resource grade-tonnage relationships at a range of cut-off grades. Figure 2: Oblique 3D View of the Jacomynspan intrusion looking northeast illustrating the historic drilling (coloured according to the exploration company). The extent of the mineralisation is indicated by the intrusion subcrop (green outline). 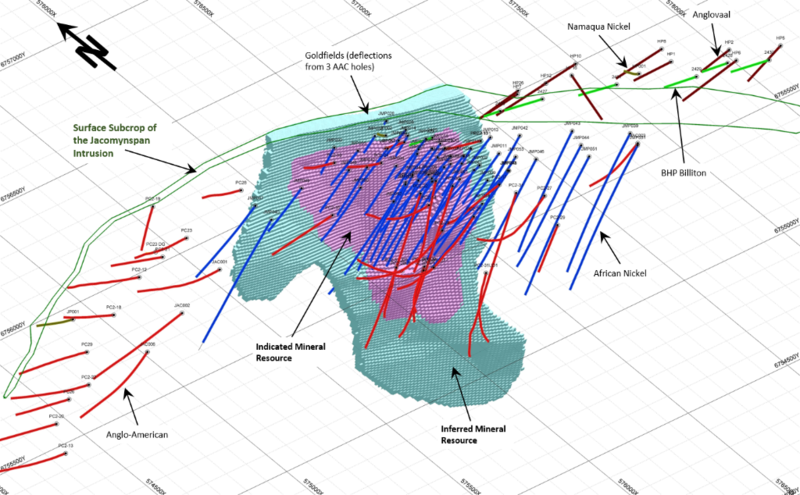 The 2013 Indicated (pink) and Inferred (light-blue) Mineral Resources are illustrated. The bold grid is 500m across, and the intervening grid 100m. Orion’s exploration objective is to discover multiple economically viable semi-massive to massive polymetallic nickel sulphide deposits. The systematic exploration process applies “toolkit” methodology to characterise and interpret the intrusions, their contained mineralisation, and potential for massive sulphide. The toolkit utilises features of analogous deposits with the aim of predicting favourable sites of mineralisation and localising the search space for direct detection using modern geophysical methods such as the recently completed SkyTEMTM Survey, which is significantly aiding target identification within the area (refer ASX releases 14 December 2017 and 1 February 2018). Type 1 mineralisation is a primary magmatic sulphide that was introduced into the intrusion by its host cumulates and was frozen in-situ together with the host. This includes disseminated and blebby sulphide. Type 2 mineralisation is sulphide mineralisation that has been injected into previously lithified cumulates, or immediately overlies internal disconformities within the intrusion. This style of mineralisation is less common but is a direct indicator that the magma flowing through the conduit has entrained larger bodies of sulphide liquid and had the kinetic energy to cause local sub-intrusion and sulphide trapping. Type 3 mineralisation is massive sulphide derived from trapping and accumulation of large quantities of sulphide liquid from the magma chamber. This style of mineralisation is generally located at specific structural localities within the intrusion such as choke points where the intrusion constricts or inflates, or at frontal terminations where sulphide liquid ponds. The Jacomynspan intrusion was discovered during 1973 by Anglo-American Prospecting Services (AAPS) from an airborne electro-magnetic (EM) survey undertaken during 1971. The discovery hole, PC24, intersected 100.07m (non-corrected width) of sulphide mineralisation with grades of 0.44% Ni and 0.25% Cu (0.2% Ni cut-off), including 18.00m at 1.01% Ni and 0.41% Cu (refer ASX releases 14 July 2016 and 8 March 2018). The intrusion is at least 5km long, between 20 and 80m thick, dipping at 65 to 75° to the south. Diamond drilling undertaken to 900m below surface has confirmed that the sill and its mineralisation are open ended at depth and on strike. The intrusion includes norite, hornblende gabbro, pyroxenite, and harzburgite. The primary lithologies have been variably metamorphosed but the intensity is significantly less than the host gneiss. The harzburgite forms discrete lenticular bodies within the sill plunging shallowly westwards. The contact relationships support an episodic, complex history of intrusion activation and magma emplacement. The harzburgite hosts the highest grade and tenor mineralisation. 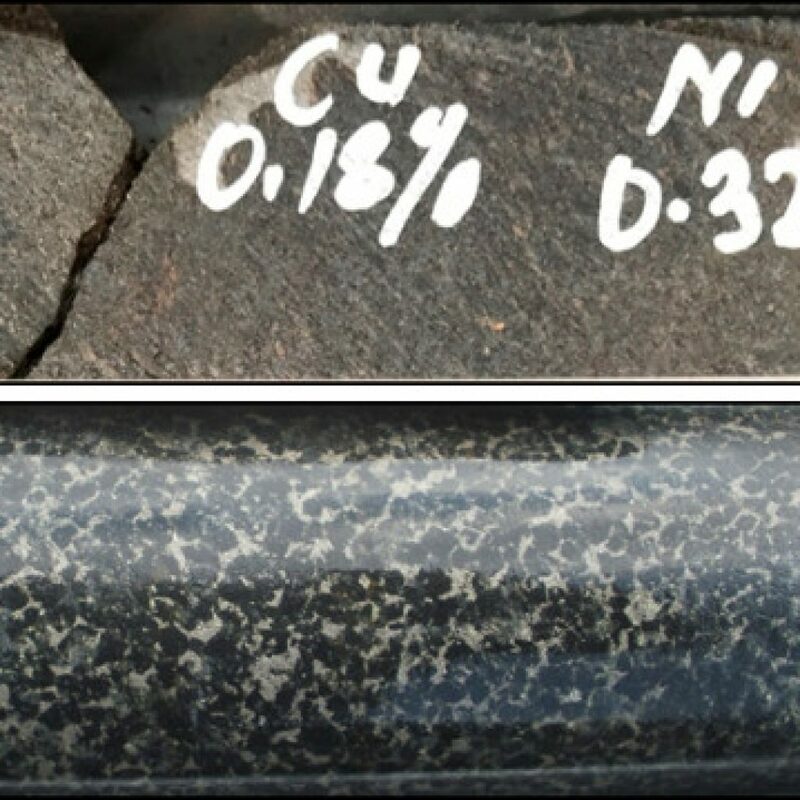 Within Orion’s prospecting right, similar intrusions are identified on Hartebeestpan (AAC Area 4, borehole JAC007, which intersected sulphide mineralisation over 62.5m grading 0.26% Ni, 0.17% Cu and 0.018% Co) (refer ASX release 14 July 2016), immediately to the east of Jacomynspan, and approximately 10km to the south, on the farm Rok Optel. These have been sporadically prospected by various companies, and host similar mineralisation to Jacomynspan. Importantly, the detailed relationships between the intrusions, and connections along strike are not well explored. At Jacomynspan, Type 1 sulphide mineralisation is ubiquitous throughout the extent of the intrusion within the pyroxenite and harzburgite units (Figure 3). The harzburgite unit hosts a greater quantity of sulphide mineralisation of higher metal tenor. This indicates that the ascending magma achieved large-scale sulphide saturation (refer ASX release 8 March 2018). Other intrusions that host Type 1 mineralisation include the Rok Optel intrusion and the Hartebeestpan intrusion. Further drilling on these prospects will enable Orion to assess whether Type 2 or 3 mineralisation is present. Figure 3: Type 1 mineralisation. Top: typical pyroxenite unit mineralisation. Bottom: net-textured mineralisation typical of the harzburgite unit. Type 2 mineralisation is also present at Jacomynspan, as massive sulphide veins and stringers that are present within all units of the intrusion (Figure 4). Borehole JMP038 intersected an 18cm thick higher tenor massive sulphide stringer (>4% Ni) with visible pentlandite and coarse loop texture. This is very important as it indicates that the magma has the potential to produce potentially economic accumulations of moderate tenor massive sulphide (refer ASX release 8 March 2018). 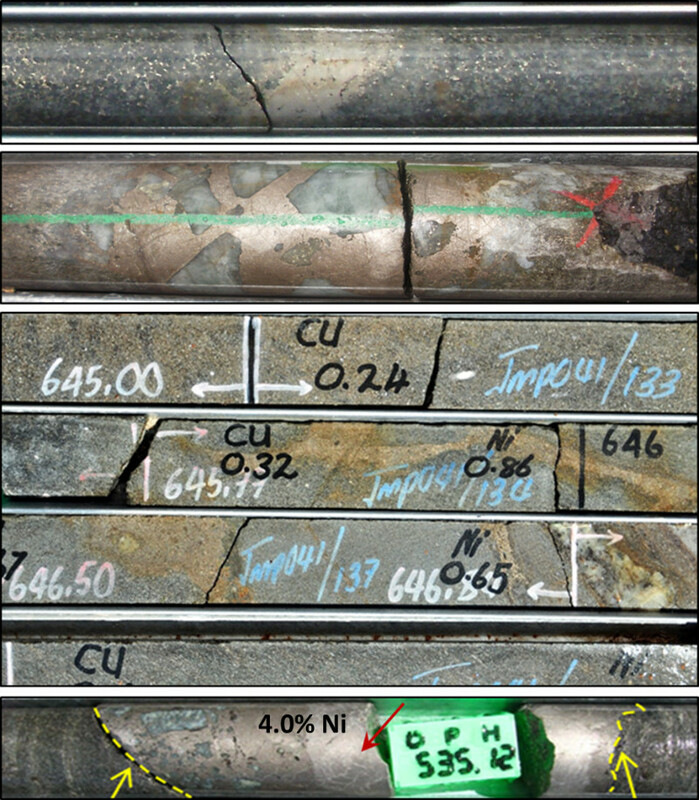 Figure 4: Type 2 mineralisation hosted by all lithological units at Jacomynspan. Top: massive sulphide stringer within the peridotite unit. Middle: massive sulphide vein within the pyroxenite unit. Bottom: high-tenor (>4% Ni) massive sulphide stringer with coarse loop texture (red arrow) (refer ASX release 8 March 2018). Type 3 mineralisation is yet to be discovered at Jacomynspan, but the intrusion characteristics and scale of mineralisation, together with the regional extent of associated intrusions support the potential for discovery of trap-sites for through-flowing sulphide-mineralised magma (refer ASX release 8 March 2018). Orion believes a substantial exploration opportunity exists for higher grade, massive and semi-massive nickel-copper-cobalt-PGE sulphide mineralisation on the Namaqua-Disawell Project. Globally, similar Grenville-age orogenic belts have been proven to be fertile and have become a major target for exploration. The Namaqua-Natal Belt is interpreted to be most closely analogous to the Fraser Range Province of Western Australia within which the Nova-Bollinger deposit is located. The Fraser Range, over much of its extent, sub-crops beneath younger cover sequences and is therefore blind to surface prospecting methods. The Namaqua-Natal Province is exposed over much of its extent or is covered by shallow calcrete or a thin cover sequence. Direct prospecting methods are applicable over much of the terrane. 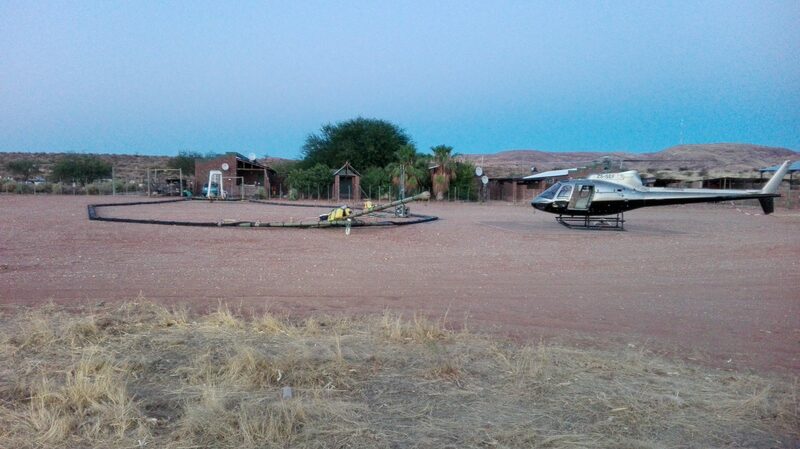 Based upon the initial review, Orion recently flew the new SkyTEMTM survey over the Namaqua-Disawell Project to enable mapping, interpretation, and target generation. This work is progressing to define targets for ground follow-up. Orion will continue to apply experience and expertise developed in exploring for magmatic nickel-copper deposit in the Fraser Range Province of Western Australia to reinterpret the extensive database for the Namaqua – Disawell Project area and rank the targets. These will then be followed up with modern high-powered geophysical tools and 3d-exploration methods, which have not previously been applied in the Areachap Belt, prior to drill testing. The new airborne EM and magnetic survey data has also identified numerous stratigraphic (VHMS) targets, which will be tested. These anomalies follow the trend of the VHMS horizon extending onto the neighbouring Orion-Masiqhame Prospecting Right. (refer ASX Releases 29 April 2016, 31 May 2016, 14 December 2017 and 1 February 2018). The re-evaluation of the resource base of the Jacomynspan Deposit as an early bulk (open pit) mining opportunity. The Jacomynspan Intrusion is the starting point for new Ni-sulphide exploration, as the most work has been undertaken on this intrusion. Initial work has included detailed geochemical characterisation to provide a regional benchmark that will be used to assess genetic relationships between intrusions and identify characteristics that may vector to mineralisation. The SkyTEMTM survey has provided an important new dataset that is being used for mapping purposes and direct derivation of targets for focussed exploration. Review of the Jacomynspan core has indicated the potential for bulk (open pit) mining. The Mineral Resource extends to surface, and the depth of oxidisation is less than was previously modelled. Options for processing oxidised material are also being investigated. 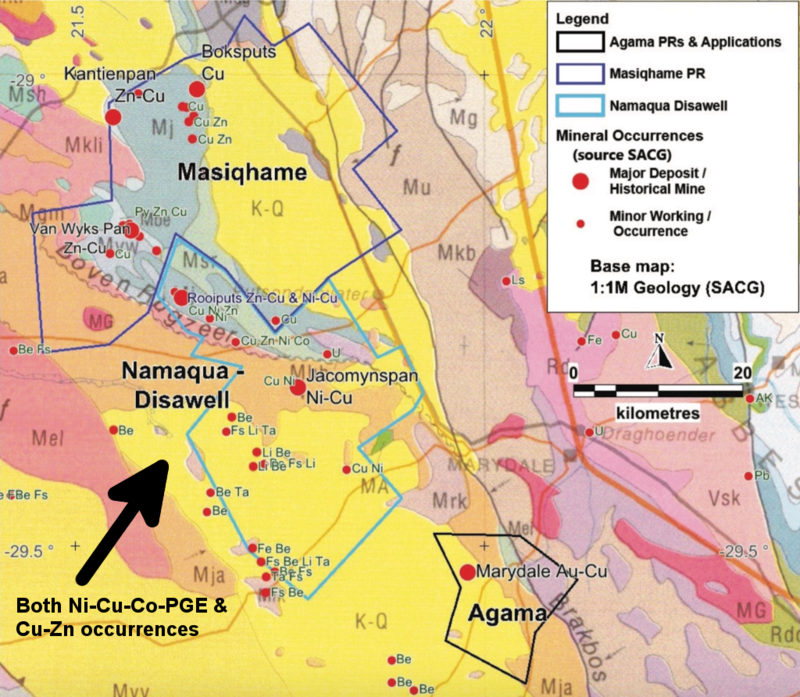 The Company holds a comprehensive Earn-In Agreement to acquire the earn-in rights over the Namaqua – Disawell Project from two companies, Namaqua Nickel Mining (Pty) Ltd and Disawell (Pty) Ltd, which hold partly overlapping mining rights and prospecting rights covering an area of 625km2, in terms of which, Orion, through a South African registered special purpose vehicle, Area Metal Holdings No. 3 (Pty) Ltd, has the right to achieve an 80% interest (Orion 59.2%) for a A$ 2.64million total expenditure over a 36-month period (refer ASX release 14 July 2016). Orion qualifies for the final tranche of shares (30%) after completing a bankable feasibility study and securing project finance for which no time period is stipulated. ↩ SMineral Resource reported in ORN ASX release of 8 March 2018: “Geological Modelling Confirms Compelling Targets Surrounding the Jacomynspan Ni-Cu-Co-PGE Intrusive”, available to the public on orionminerals.co.au/investors/market-news. Competent Person Orion’s exploration: Mr. Errol Smart. Competent Person: Orion’s Mineral Resource: Mr. Jeremy Witley. Orion is not aware of any new information or data that materially affects the information included above. For the Mineral Resource, the company confirms that all material assumptions and technical parameters underpinning the estimates in the ORN ASX release of 8 March 2018 continue to apply and have not materially changed. Orion confirms that the form and context in which the Competent Person’s findings are presented here have not materially changed.